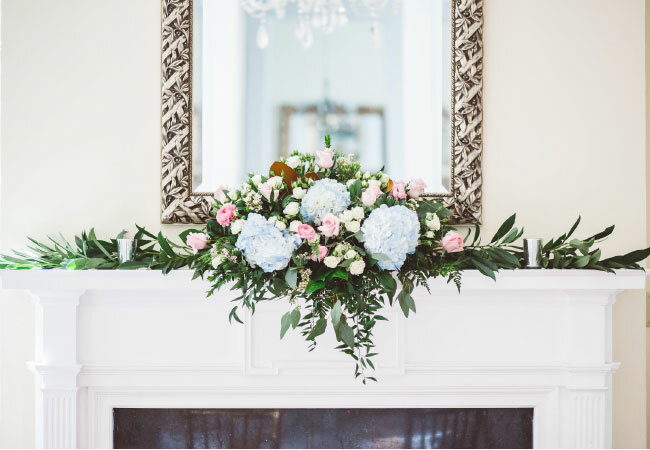 The historic Nunnlea House filled with flowers and candles created the perfect dreamy setting for the marriage of this Air Force groom and his romantic bride. Alex and Kelly Vincent met while working for the federal government in the social security office in downtown Louisville. Alex is in the Air Force, so while Kentucky is their current place of residence, Alex and Kelly both call Kentucky home. 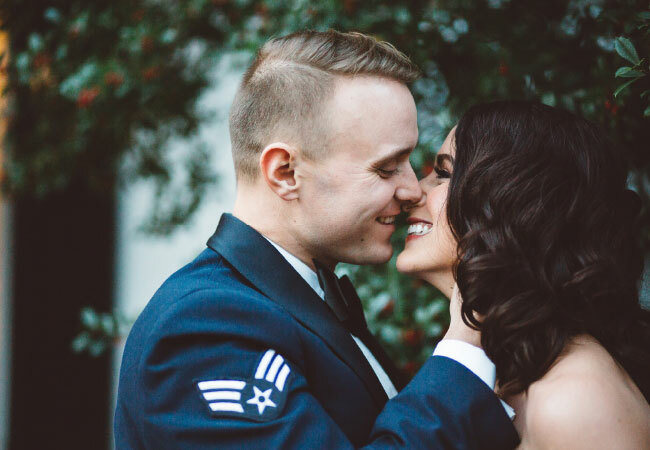 The couple married on November 11, 2017, which was also Veteran’s Day. 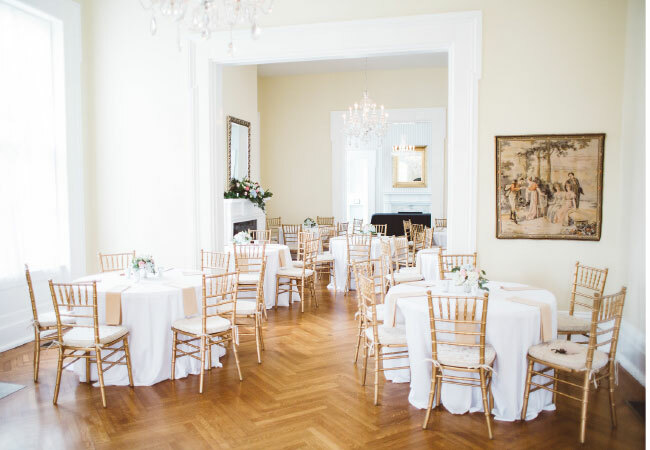 The couple wanted a small, stress-free wedding, so when it came time to pick venues, the Nunnlea House was an obvious choice. 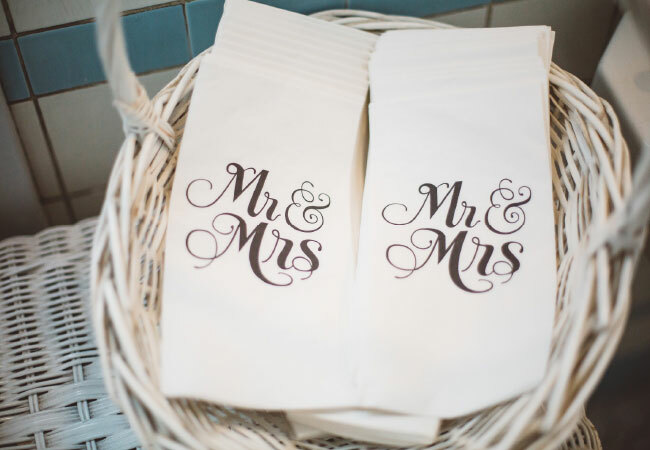 Kelly wanted to keep the decor for the ceremony and reception simple. With the help of Wildflowers Florist, the tone was set using flowers and candles. As Kelly explained with a laugh, some flowers may or may not have been plucked from outside the venue as hydrangeas are her favorite bloom. 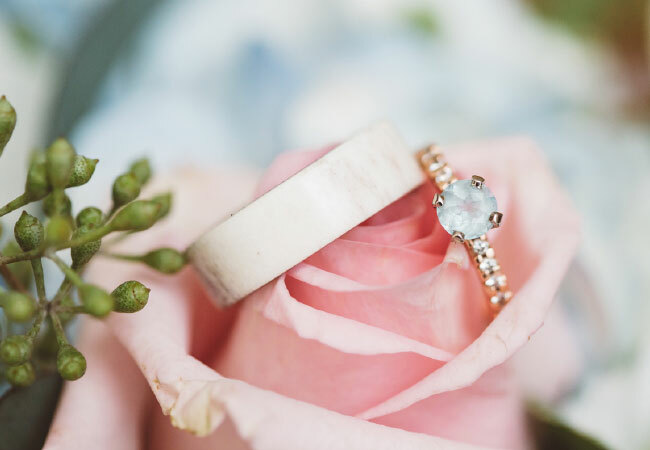 While many brides (and grooms) have some pre-wedding jitters, Kelly will be the first to tell you that she was very nervous before walking down the aisle. She was so nervous in fact that she forget to carry her bouquet. 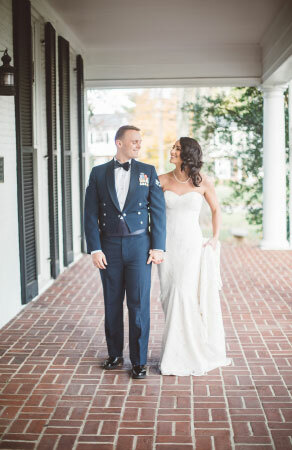 Since the Vincents married on Veteran’s Day, Alex wore his Air Force dress blues, a military uniform worn on formal occasions. The ceremony was officiated by one of Alex’s closest friends, which as the groom admits, it was nice to be greeted by a friendly face. “He also gave us a copy of his ‘speech,’ which was so thoughtful. I’m glad we can keep it forever,” Alex said. 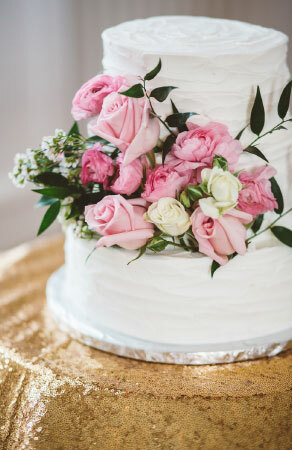 If the Vincents could share any advice with other couples planning a wedding, they recommend keeping the guest list small and the stress to a minimum. The Vincents agree that their favorite part of their wedding day was being surrounded by their closest friends and family. Looking back on their wedding day, Kelly has one other small piece of advice for future brides: when it comes to find a wedding dress, try to find one with a simple bustle.